Today on October 12th, Sofia and Carl Philip inaugurated the start of Sports Without Borders at two schools, Lommarskolan and Grindskolan. Sports without Borders was started in 2004 by Admir Lukacevic with the goal to use sports to teach children how to be comfortable to take necessary risks and responsibilities in order to shape their lives. I was honestly surprised that Carl Philip and Sofia undertook this engagement as this is the kind of event I would expect Daniel to attend. However it does fit into Carl Philip's commitment categories as he has always been involved in sports. Either way, I am glad someone from the family was there! Anyway- Back to the fashion. 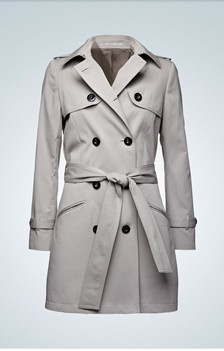 Sofia wore a new trench coat from Tiger of Sweden. Her shoes appear to be her Gant Boots which she is loving lately. Another Seraphine Dress for Victoria! Sofia and Carl Philip are Expecting a Child!